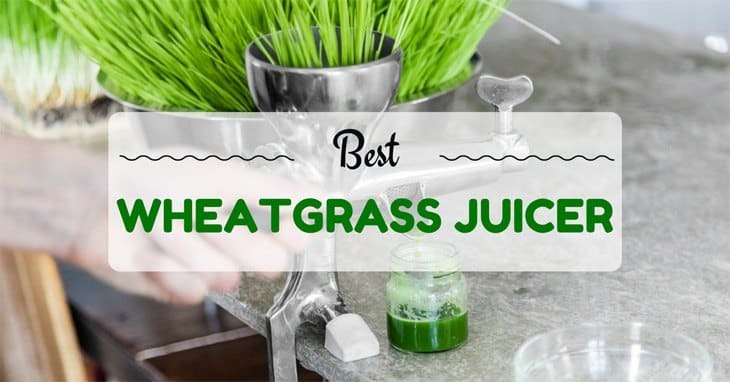 Best Wheatgrass Juicer of 2019 - Go Grind Green Grass! Wheatgrass is a type of plant that has so many benefits. As such, they are popular options among vegetarians, health gurus, and even some athletes. However, not all good things are free. The downside of wheatgrass is that it is very hard to squeeze its juices out. While there are many wheatgrass juicers that can do the job well, you don’t want to settle for just ‘well’. As such, I have compiled a list of the best wheatgrass juicer for your buying needs. 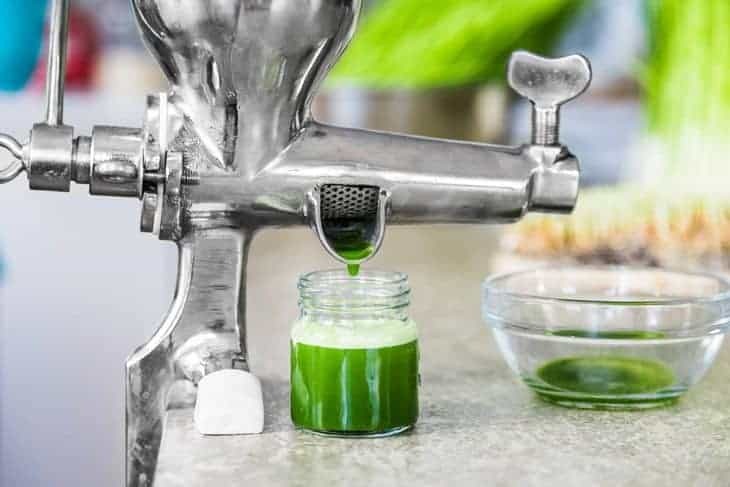 I’ll also be providing a comprehensive guide which will show you what are the factors you should consider when choosing the best wheatgrass juicer. Read away! This juicer from Omega is one of the top contenders for best wheatgrass juicer and it’s worth checking to see why. First of all, this juicer comes from a lineage of already established juicers from Omega. What this means is that this line has already been tested for so long, and now comes a better product, the Omega NC900HDC. Its aesthetic appeal has changed and differed much from its predecessors, offering you a more minimalist and sleek look. Its chrome plating doesn’t only stand for its aesthetics but it also means its a durable weapon for your kitchen. Its body may be longer and lengthier but it has become thinner compared to its predecessors. Still, it takes a lot of counter space for it to be put in the kitchen. The engine of this machine spins at an amazing 80 rpm and can even be adjusted to your liking. In addition to this, it also features a pulp ejection mechanic that will allow you to eject pulp currently in the juicer. This feature will then allow you to continue juicing for long periods of time. Its GE Ultem auger is also 800% more durable than those made from other materials, which means it can continue juicing for longer and consistently. Last but not the least, the materials that make up the motor is heat resistant, which again contributes to its ability to juice for longer amounts of time. While it’s true that technology has taken over today’s era, there are still some people who prefer manual types of juicers. This stainless steel juicer by Handy Pantry will allow you to juice wheatgrass into your own handcraft. The body of this whole juicer is made out of stainless steel so you are sure that it will last you for the years to come. In addition to its simple body and stainless steel material, it is also very easy to clean. You can either wash it using your hands or by putting it in the dishwasher. This juicer is also portable. Assembly and disassembly of this unit are very easy and fool-proof. As such, this unit is ideal for your on-the-go trips and vacations. You can bring it wherever you want without worrying about finding a power outlet since it is manually operated. Because it is manually powered, you don’t have to worry about your juicer making loud noises, vibrations, or even heating up. One disadvantage though is that the pulp created from this unit isn’t as dry as electric models. It might take you some time to fully squeeze all the juices out. A tip to remember is to only put enough that you can juice; don’t overload. This slow juicer is one of the top contenders for best wheatgrass juicer and it isn’t hard to see why. Now, let’s find out. First, it features a 200-watt powered motor with a capacity to spin at 47 rpm. Being at the lower end of the spectrum in terms of speed for best wheatgrass juicer, this unit can produce juice without the risk of oxidation. The pulp that comes out of this unit is dry and consistent. Its auger is double-edged which might explain the reason for such. The work of this juicer is also faster despite being one of juicers in the market with a lower rpm. The juicer comes with a strainer and a filter which will allow you to determine how you want your juice served. The unit itself is also very easy to clean. If that’s still not enough, its motor comes with 10 years of warranty protection, while a year for all its other parts. Lastly, it can also handle other kinds of food. This wheatgrass juicer by Lexen is a timeless beauty. It is one of the contenders for best wheatgrass juicer and it isn’t hard to see why. First, it is manually-operated so you can decide how you want your juice served. The unit itself is very easy to assemble and disassemble. Despite being a manual juicer, its design and finish are also aesthetically appealing - the kind that makes you want to think of green landscapes. As such, the unit and its parts are very easy to clean. In addition, are only three parts in this wheatgrass juicer so there are lesser items to wash. Despite being made out of non-metal materials, this unit is also durable. In addition, there’s a clear portion of the unit wherein you can see the wheatgrass while it’s being juiced. Bringing this juicer out to trips is also great as it is sleek and lightweight. In addition, since it is manually operated, you don’t have to look for power plugs. A disadvantage of this machine though is that you might find yourself struggling to create substantial amounts of juice. But this is to be expected as it is a manual juicer, and thus can never match the rate of electric juicers. This black juicer seems overwhelming and massive, but in reality it’s actually one of the best juicers that you can find in the market; it can be your best friend for juicing wheatgrass. Firstly, its motor is heavy duty and operates on ⅓ horsepower. It also features a floating cutter which is a huge benefit. In addition, it can also separate the pulp from the juice during the process. As such, cleaning it regularly isn’t a requirement! Needless to say, both are great for cutting off preparation times which is always a huge benefit. This juicer also features a huge feeding chamber for all sorts of food, not just wheatgrass. Did I also tell you already that you don’t have to cut off these food to tiny little pieces just for the machine to make work of them? Simply put, you can put whatever fruit or vegetable you like and this juicer will do the job for you, hassle-free. The durability of this model is also great despite being one of the most powerful machines. The stainless steel body of this unit is resistant to cutting, wearing, and tearing. It can work with frozen food and minimal damage can be expected. The juicer itself comes with 10 years warranty, which is obviously great. Even though it is more expensive than other models, you are assured that you’re getting what you are paying for. Best #wheatgrass #juicer – go grind green grass! Now that we’ve discussed the top contenders for the best wheatgrass juicer, let us now decide who will win by giving out key points to look for when choosing the best wheatgrass juicer. I’ve already compiled a list of things to look out for, and without further ado, let’s check them out now! 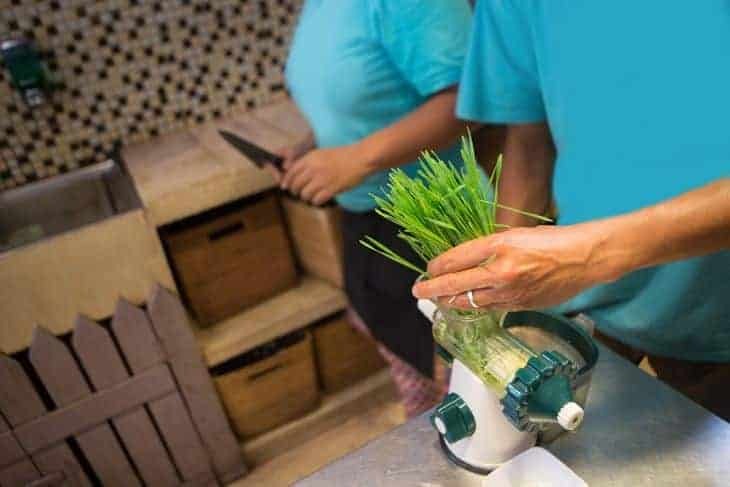 Wheatgrass juicers can either be manually operated or electrically-run but from personal experience I can attest that manual ones are better if you’re looking for portability and customizability. Electrically-run juicers are best if you’re looking for ease and effectiveness, although they tend to be more expensive. Just take your pick and choose which is best for you. The next factor of course is the material made for creating the juicer. Durability is a key factor in deciding a great wheatgrass juicer as you don’t want a unit that’s easy to break obviously. Generally, it is considered that more metal in the unit means that it is more durable but this is not always the case. The truth is, the less electrical components coupled with a substantive amount of metal parts will allow the juicer to last longer. If choosing between metal parts, choose stainless steel over iron as iron tends to rust over time. Of course, you need to make sure that you can actually use the juicer. You want an easy to operate juicer and not something complex and bulky. Also consider the portability of the juicer as it’s generally better if you can take it anywhere with you, but if you’re just looking for a juicer that can serve you in your kitchen, then disregarding this factor is fine. With all the details about choosing the best grasswheat juicer, I give the winner today to the Omega NC900HDC 6th Generation Nutrition Center Electric Juice! You may wonder why I chose this, but let’s see why. This model may seem really bulky and hard to use, but operating it is actually very easy. Its power and durability are also great especially for a staple kitchen appliance. 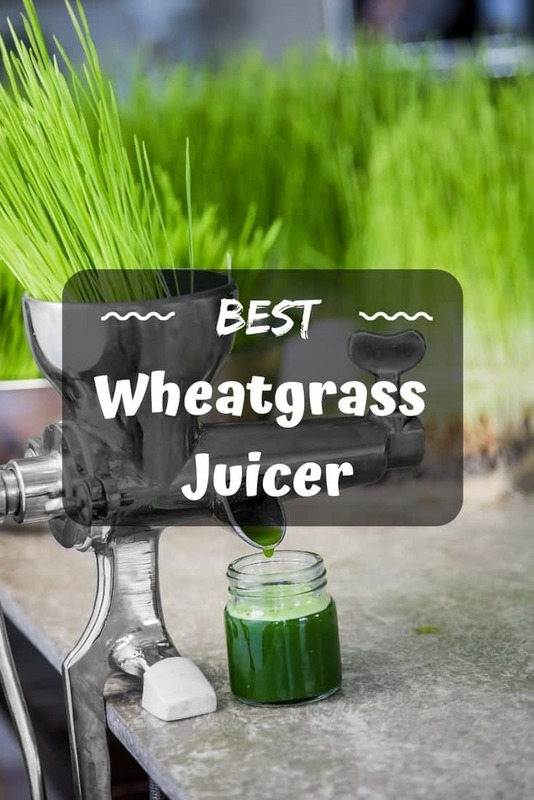 It has many features which shine in the best wheatgrass juicer competition, and it is no doubt that they all excelled in their particular fields. What I like the most about this juicer is that you can put large amounts of food in its chamber without even having to slice them off into smaller bits. I believe that will just cause more hassle for the user. By cutting off on preparation times, the user can enjoy more of their time doing other stuff! Though it is already durable, it also comes with a 10-year warranty which ensures the users that they’re getting what they’re paying for.